19 Mart 2019 Salı 18:03 - 1 reads. The Abel prize is the equivalent of 620'000 Euro and is considered to be one of the most important scientific awards in the field of mathematics. The 76-year-old Uhlenbeck thanked remotes for all your support. 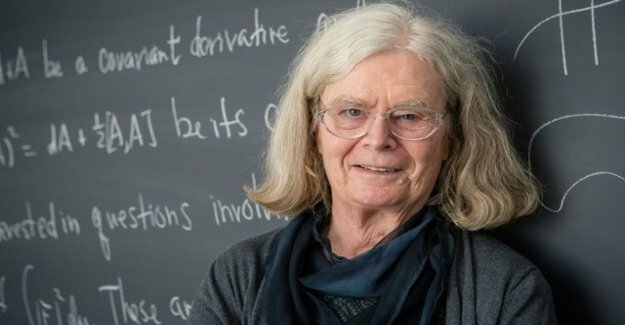 The Norwegian Academy of science honors equations Uhlenbeck for their ground-breaking work in the fields of geometric partial Differential, gauge theory and integrable systems. Uhlenbecks work with the geometric analysis and the measurement theory have changed the mathematical landscape, fundamentally, said the Chairman of the Abel Committee, Hans Munthe-Kaas. "have their theories, our understanding of mini-surfaces such as the soap bubble painting revolutionized." As a female mathematician Uhlenbeck was also a role model. She was a strong campaigner for gender equality in research and in mathematics. in addition to the Fields medal, the Abel prize is the highest award in mathematics. The Norwegian mathematician Niels Henrik Abel, after whom the award is named, lived from 1802 to 1829. Despite his short life, he made important contributions in various areas of mathematics.